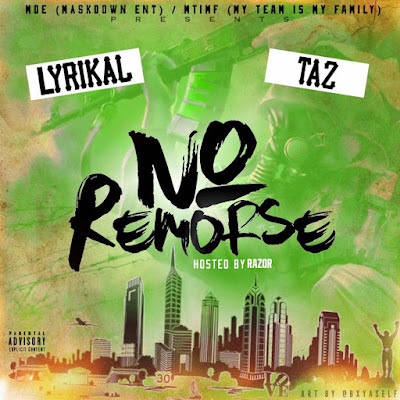 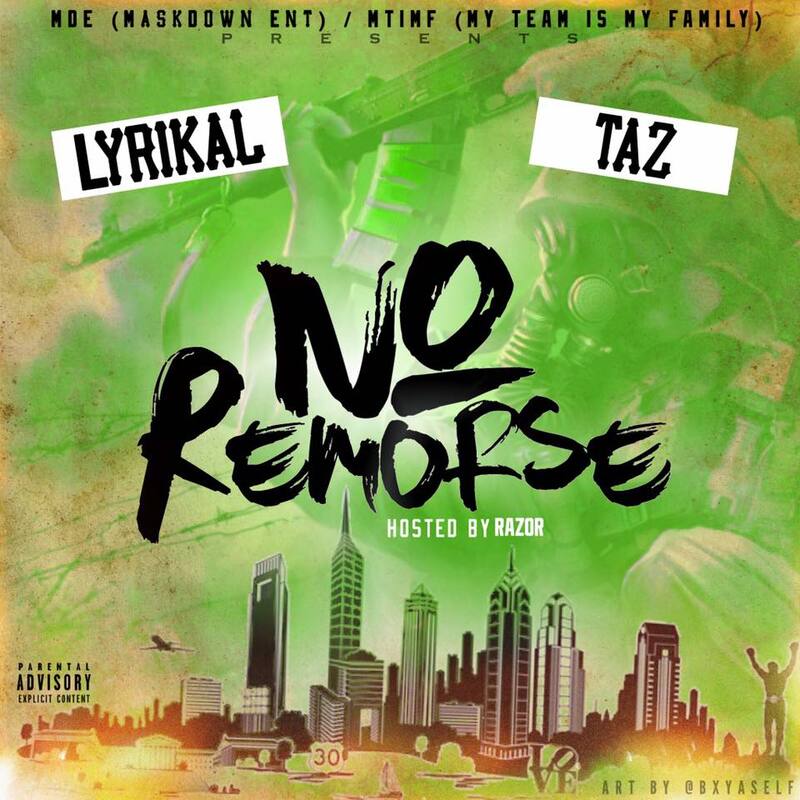 Hosted by Razor of OBH, Maskdown Ent and My Team Is My Family present the "No Remorse" project with Lyrikal and Taz featuring Dave Insane, Dre Mugga, Mire Codeine, Seen $o, Leo and Leo. With production by Rob Productions, Manny Maoe, Mark Niels, Araabmuzik, Pinero Beats, Loop Goonz, Lohy Beats, Space Age Tike, Mean 5K, Zmy DaBeat, Beat Demons, 1Klow Key and Da Most Infamous. 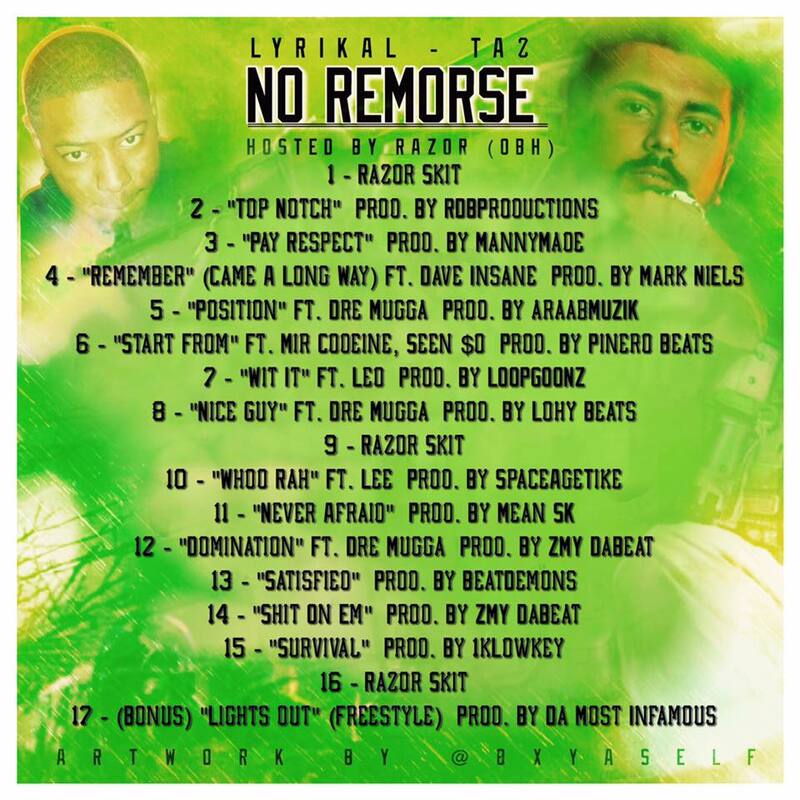 Stream the 17 track project below via Soundcloud.